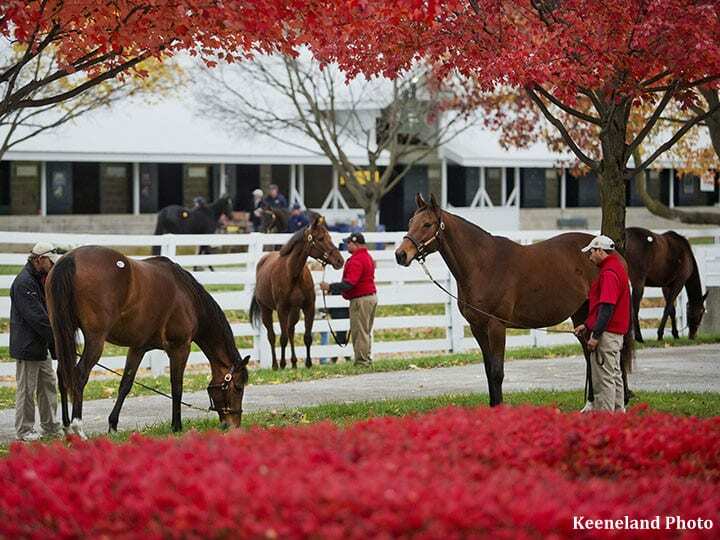 John Liviakis, one of the leading small breeders in the nation, will have a major reduction of bloodstock at the upcoming Keeneland November breeding stock sale. A former Standardbred trainer, Liviakis is based in Mill Valley, Calif., where he owns and operates the prominent public relations firm Liviakis Financial Communications. In recent years, Liviakis has bred Grade 1 winners Gomo and Whitmore; multiple graded stakes winners Reene's Titan, Handsome Mike and Reneesgotzip; graded stakes winners Tommy Macho, Mighty Caroline; stakes winner Renee's Queen; and TDN Rising Stars Sensitively, Young Brian and Mick's Miracle. Taylor Made will consign 10 broodmares and three weanlings to the Keeneland November sale on behalf of Liviakis. Included in that group is Hip No. 1093, Awesome Dove, whose second dam is Canadian champion Dancethruthedawn; Hip No. 1291, Maximum Edge, from the family of G1 winners Majestic Harbor and Danza; Hip No. 1473, Valentine Rosie, a half-sister to stakes winner Kabella and from the family of G1 winner Kapote Belle; Hip No. 1491, Zia Zia Zia, a half-sister to stakes winner and stakes producer All of Her Twist; Hip No. 1994, weanling Dana's Beauty, from the family of Preakness Stakes winner Cloud Computing and G1-winning millionaire Halo America; and Hip No. 2236, Sensationalize, out of stakes winner Stormy West, and from the family of champion Gold Beauty. Liviakis' philosophy has been to routinely investigate entries of medium and major racing circuits for potential broodmares. He then tracks female offspring of branches of families that have caught his eye, and purchases them privately. He also develops broodmares from the daughters of families he has nurtured. “When you're a breeder and have all these foals every year, your numbers go up geometrically,” Liviakis told The BloodHorse. “Unless you're extremely wealthy, you can't handle the numbers. So I've had to sell, and you can only sell the ones people want. This entry was posted in Bloodstock, NL List and tagged Awesome Dove, Dana's Beauty, horse auctions, John Liviakis, keeneland november breeding stock sale, maximum edge, Pat Payne, Sensationalize, taylor made sales agency, Valentine Rosie, Zia Zia Zia by Press Release. Bookmark the permalink.